Once upon a time, the idea of a personal computer in someone’s home was laughable. But the miniaturization of technology and Moore’ Law What Is Moore's Law, And What Does It Have To Do With You? 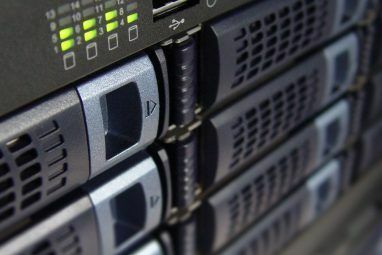 [MakeUseOf Explains] What Is Moore's Law, And What Does It Have To Do With You? [MakeUseOf Explains] Bad luck has nothing to do with Moore's Law. If that is the association you had, you are confusing it with Murphy's Law. However, you were not far off because Moore's Law and Murphy's Law... Read More have shrunk the PC down. Today, it’s the size of a pen drive. 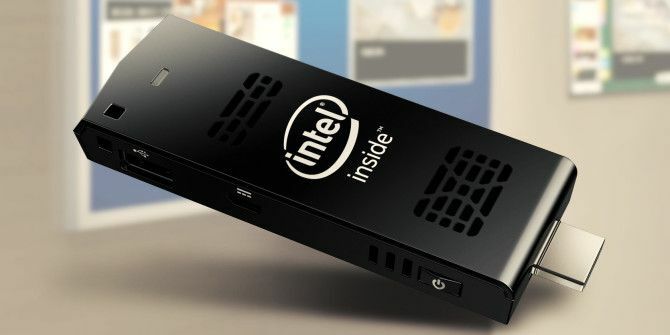 The Intel Compute Stick wants to be a truly portable PC in your pocket. The exciting part lies in why the Intel Compute Stick matters Intel Compute Stick Turns Any TV Into A Windows PC For Just $149 Intel Compute Stick Turns Any TV Into A Windows PC For Just $149 Read More . Unlike the Google Chromecast Google Chromecast Review and Giveaway Google Chromecast Review and Giveaway We're giving away a Google Chromecast, so read through our review, then join the competition to win! 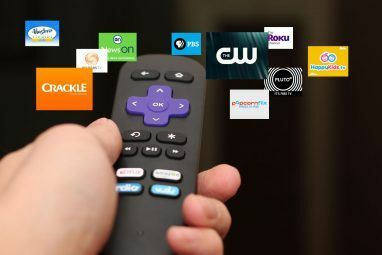 Read More or the Roku Streaming Stick Roku Streaming Stick Review and Giveaway Roku Streaming Stick Review and Giveaway All the features of a full Roku experience, in a small form factor that plugs straight into HDMI - does the Roku Streaming Stick deliver? Read on to find out and win one for yourself. Read More , this is an entire PC that is not dependent on any other device or smartphone, and has a full-fledged operating system on it. Intel is currently supporting both Windows and Linux operating systems. But wait, don’t rush out and buy one! I’ve been using a Compute Stick for over a month and there are a few things you should know. It’s the most “It just works” gadget I’ve seen in a long time. Connect the power supply, plug it into the TV, press the power button, and the Compute Stick will load up Windows 8. Go through the setup process and you’re in the familiar Windows environment Hey Windows User, Should You Switch To Linux or Mac? Hey Windows User, Should You Switch To Linux or Mac? Did you ever consider switching from Windows to Linux or Mac? The quick answer: if you're on Windows, stay on Windows—and don't worry about upgrading just yet. Here's why. Read More . The video above is a perfect illustration of how easy the whole thing is. It’s great! Of course, you’ll need a keyboard and a mouse to use the Intel Compute Stick. Go with a good wireless RF all-in-one keyboard The 10 Best Wireless All-in-One Keyboards for Mac and PC The 10 Best Wireless All-in-One Keyboards for Mac and PC Wireless all-in-one keyboards can turn any boring computer into an exciting home theater PC. Which one should you buy? Read More . That single USB port might be a pain, but I still won’t recommend using Bluetooth. Why? You can’t use Wi-Fi and Bluetooth at the same time. Weird, I know. The Compute Stick will be connected to your Wi-Fi and to a Bluetooth device, but the moment you start using the Bluetooth keyboard, you’ll find that the Wi-Fi connection drops; or the latency rises dramatically such that when you type on your Bluetooth keyboard, the letters show up on the screen after a severe lag. You’re better off with a wireless RF keyboard. The current generation of smart TVs are frustrating What Is a Smart TV? 6 of the Best on the Market Today What Is a Smart TV? 6 of the Best on the Market Today Most televisions you look at now will be smart TVs, but what is a smart TV and which ones are the best on the market right now? Read More . They have a smart OS, but the “apps” are limited and the web browsers are terrible. With the Intel Compute Stick, you get proper, full-fledged Windows or Linux environment. And the moment you use that, you can’t imagine going back to one of these Smart TV operating systems. Both Windows and Linux are so much more superior. When you add the convenience of great Windows software The Best PC Software for Your Windows Computer The Best PC Software for Your Windows Computer Want the best PC software for your Windows computer? Our massive list collects the best and safest programs for all needs. Read More like Microsoft Office, Chrome/Firefox, Plex, and so on, you’ll wonder how you ever lived with a restrictive Smart TV operating system. 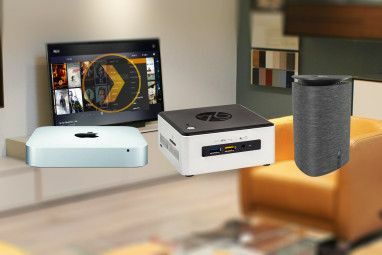 While it’s a great smart TV and the perfect first HTPC Your First Home Theatre PC: YouTube Videos on Your TV And More Your First Home Theatre PC: YouTube Videos on Your TV And More This article will give you an overview of how to set up an HTPC, the amazing power it offers, ways to personalize yours, and how to control your system with ease. Read More , that’s what it is. Don’t think of it as a great PC because the Compute Stick just doesn’t have enough computing power. If you want to watch a 1080p video, you can without a problem — as long as you aren’t doing anything else. Maybe a lighter Linux distro 13 Lightweight Linux Distributions to Give Your Old PC a New Lease of Life 13 Lightweight Linux Distributions to Give Your Old PC a New Lease of Life These flavors of Linux are light on CPU and RAM, meaninig they run great on older and weaker devices! Read More would do better. Pro: It Works Off a Power Bank! This is one of the coolest features of the Intel Compute Stick. Even if you don’t have access to a plug point, you can run it fine with a good battery pack The 6 Best Backup Battery Packs for Extending Your Phone's Uptime The 6 Best Backup Battery Packs for Extending Your Phone's Uptime A battery pack is one of the best ways to charge your phone in an emergency. Here are a few portable power banks that might be just what you need. Read More . Since the Intel Compute Stick is powered by a standard micro-USB port, you will be able to use the same cable that fits into any Android or Windows phone and tablet. Unlike the Google Chromecast, it won’t mirror your phone’s screen or sync up in a way where your phone is acting as a remote. The best connection between your phone and your Intel Compute Stick is if you turn your Android smartphone into a keyboard and mouse How to Turn Your Android Phone or Tablet Into a Mouse and Keyboard for Windows How to Turn Your Android Phone or Tablet Into a Mouse and Keyboard for Windows Imagine you could control your Windows PC with your Android? Intel Remote Keyboard turns your phone into a mouse and keyboard for your Intel PC. We show you how it works. Read More . A screen with an accessible/available HDMI port. A power socket or a power bank. A keyboard and mouse, or your phone being set up with a virtual keyboard and mouse for that particular Intel ompute Stick. And all of that costs you $134. Instead, you can buy a Windows tablet PC for the same price and that comes with its own screen, its own virtual keyboard and mouse, and no need for a power bank. Carry a mini-HDMI connector and it’s a better portable PC solution. Yes, a Windows 8 tablet cannot replace a PC Why A Windows 8 Tablet Cannot Completely Replace A PC Why A Windows 8 Tablet Cannot Completely Replace A PC A Windows 8 tablet can theoretically replace your beefy desktop computer, cut your electricity bill, and let you work from anywhere; except that it can't. Hear the pros and cons from someone who tried it. Read More , but neither can the Intel Compute Stick. All the accessories you will need to make a Windows tablet into a functioning PC are the same as what you’ll need with the Compute Stick; in fact, the Compute Stick needs a few more. Bottomline: The Intel Compute Stick is great to turn a TV in a Windows TV. And that makes it a backup PC too. But it’s not a good enough portable PC. Do you have a question about the Intel Compute Stick? Go ahead and ask it in the comments. I’m ready to test and get you the answers. Explore more about: Buying Tips, Intel. can i use it for application development with c++, java and android. Specifically, can i use android studio and netbeans on it? Can users install Microsoft Office applications on the Compute Stick? Can I use the usual Windows Remote Access facility to control the stick instead of having to connect a keyboard and mouse? I just want to know about its performance and whether it works well or not. Also can one insert sd card into it or not . I am looking for a small computer just to hook up to my drobo for file sharing in the house. Would this be a good option? I don't know that it would be a 'good option' but it is an option. you'll just need to buy an sd card since the stick runs slowly due to memory. Also, I HIGHLY recommend that you get a USB to ethernet cable and connect it directly to your network. (also note you'll need a USB hub for any peripherals). The bandwidth on the built in wifi adapter is nearly worthless but this machine works very well with the USB to ethernet converter. Hello! I want to install iVMS 4200 client from Hikvision -does it will work on Intel pc stick? Thank you! It will run any app that can run on the windows version you are running. I run open office on mine and it works fine but it is extremely slow. MS word, or similar large programs will also be a little slow. Also realize due to the memory on the stick you won't be able to multi task with other apps if Word or another large app is open. Can i use the compute stick with an apple Mac air, for windows application instead of Parallel desktop? congratulations for the great informations, they are so useful for me! I read all the pages of Intel official website about Intel Compute Stick and, when it's written "TV screen or HDMI screen" there is always a "*" without any note in the same page. What does it means, in your opinion? In other words, is it actually connectable to every TV with HDMI port? I have a Philips 4101 and I don't want to buy Compute Stick and then discover it doesn't work with my tv. Another question: can I use my USB keywords with Compute Stick (connecting it to Compute Stick or directly to the tv)? As long as it is a standard HDMI then yes, if it is a micro HDMI then no. it has the standard size HDMI. Can we connect this stick PC to an Samsung galaxy tablet via an OTG cable and use it? I have connected a galaxy tab 2 10.1 to mine and it works fine. You'll just need a USB hub to connect it. First of all thank you for the valuable review. My requirement is bare minimum computing like, internet browsing, checking emails, watching videos online (streaming), video chats, watch movie files, images, work on MS office (word, excel, ppt). I do not wish to use to view 4k UHD videos, or play games or any heavy activity. So, is this PC stick a preferred solution that would match the requirement especially using MS OFFICE ? Also, what is the maximum no of processes supported ... after which the performance is sluggish ? e.g. max no of browser tabs, maximum no of applications opened etc ? Also, what is the maximum storage limit via the memory card slot ? how do i come to know if in recent future a more better version of the pc stick is coming up ? See the other response, but yes you can run office on this stick however it will run extremely slowly. The stick only has 2 GB of ram so you won't be able to multitask well. i.e. switching between windows when you have a large program like word open, will be difficult. Could it run android and stream ip security camera video to a monitor with an application used to do so for an android phone? This is not a device that plugs into a laptop. it only plugs into a tv with an HDMI port. It will run MS Office but I wouldn't recommend it for that reason. The system only has 2GB of RAM. So you'll run into the same challenges as others with switching between applications (i.e. Edge and Word or games) but it'll do basic computing fine. One thing you have to do however is to get a USB hub and a USB ethernet adapter to plug it directly into your router. The built in wi-fi is worthless but it runs very well (For the price) with the ethernet adapter. Yes as long as you have a USB hub and appropriate adapter. It is a full version of windows so it'll run anything that will normally run on windows. I fyou have dropped connections, please check your router settings. Most new routers have WMM activated by default. Unfortunately I don't know how to define "new", but at least post 2010. WMM allows devices to go into power saving mode by sending a "hold my messages" signal to the router, which queues all messages to the client and sends them on an "I'm back" signal instead of sending it immediately and timing-out. The ICS needs this setting becuase it does this when switching between BT and WIFI protocols, since it only has 1 radio for both. I used to disable this not knowing what it does and I've had similar disconnections with android HDMI sticks. Now they all work. PS: WMM may be named differently depending on brand. Twelve words - HP Stream $199, under 3 pounds. Why not just buy a Pi and be done with it? Wifi, BT, HDMI, 4 USB, 1GB RAM, Micro SD. It can run either Linux distros or Windows 10 now ( https://www.raspberrypi.org/raspberry-pi-2-on-sale/ ). This device might be a smaller package than a Pi-2B+, but that's all. Not to mention a Pi is $35 USD, for the price of this stick, I could buy 3 Pi's. I didn't even know this device existed before today. I might look into getting one of these instead of buying another Roku. Overall, I like my Roku, but the dealbreaker is the Roku YouTube app, which is horrible. It's buggy, laden with ads, and always trying to force you to watch things you don't want to. I understand this is more Google's fault than Roku's, but it's really irritating for watching YT vids on the TV. With this I assume I could watch YouTube vids right from the browser. Thanks for the review and info! With youtube red you dont get the adds, plus you get google music. For me, well worth the money. I have a windows intel stick. To get better performance I bought a 4 port usb hub, I plugged the bluetooth in for keyboard and mouse and a usb wireless 300N device. Now it works like a decent computer after disabling the internal wireless device. I use it for powerpoints on a large tv in the conference room and this past week added it to a tv in the lobby where we are playing Youtube playlists from channels important to the business. It works great. Thanks for writing in, Mark! When you said you disabled the internal wireless device, what did you mean? Mihir, go into the Network and Sharing Center, click on the Change Adapter Settings where you will see the internal wireless device there. Right click and select Disable, it shuts that device down. When you install the new wireless device it will show there as enabled and then connect to your wireless SSID. Ah you meant the built-in Wi-Fi and BT, I was just confused by the terminology. Thanks Mark! Yes, and it fixed the wireless connection dropping issue you referred to in your article. Disclaimer: I don't have an actual Compute Stick but rather a generic device I got off Amazon for around $90. That class of hardware makes a really nice HTPC setup but I couldn't find another real use for one. I found it was relatively easy to blow through 2GB of RAM from just normal web browsing and didn't find that Readyboost (putting a page file on a flash drive) did enough to ameliorate the overall lack of resources for general-purpose computing. But it's great if you want a Kodi display or a Plex client. The couple thoughts I will add to your review: These things do kind-of work with Miracast adapters like the Netgear Push2TV. Ironically, one thing they don't actually NEED is to be connected to a TV via HDMI (kind-of in that the display blanks or gets mildly corrupted more often than anything else I've seen). Third, I found that I really wanted ethernet in order to deliver high bit-rate video. MAYBE the branded Intel units are different in that respect, but even with my StickPC just 2m and a clear line of site from an enterprise-grade access point, it choked on a 10Mbps video stream until I switched to a USB-to-Ethernet adapter. It's a decent alternative to a traditional STB but it's fussy and glitchy in ways I don't care for. I'm hopeful that a second or third generation product will be a legitimate low cost computing option. Whoa, this is a first, LFBN. I agree with everything you said. Is it time to shut down the internet? I can't help that you are so frequently incorrect. All I can do is post and hope that some cluefulness eventually seeps in. I shall continue to dash your hopes merrily. As long as your happy wallowing in your ignorance. Would the Ubuntu version be better because of the specs? How does it work with a USB hub? What about USB bluetooth receivers? What about an IR receiver connected via USB? Great article by the way! 1) No, don't buy the Ubuntu version. Get the Windows version and install Ubuntu on it. The Ubuntu version has inferior hardware. 2) You need a powered USB hub, just plug it in and it works like a normal hub. 3) I haven't tried a USB BT receiver and don't have one. The device itself has BT though. 4) Again, haven't tried an IR receiver, sorry. Don't have that or a BT receiver around to test this. Thanks. How about added storage? ie micro sd card slot. Is it upgradeable to Windows 10? It's around 4GB of data, added to the ~20GB Windows 8 normally needs. There can be an issue with backups of files from Windows updates if you've had a device for a while (this is a real problem for 32GB Windows devices generally) but usually a factory reset followed by installing the updates "clean" resolves the matter. In practice, you're not going to be saving much user data to one of these. The idea is that you'll put things in OneDrive or some other cloud account, or that you'll save to a flash drive of some sort. You're also not going to be installing much in the way of software. This isn't exactly a proper home for your Autodesk / Adobe / Steam software library. Factory reset or just deleting Windows.Old fixes it too.